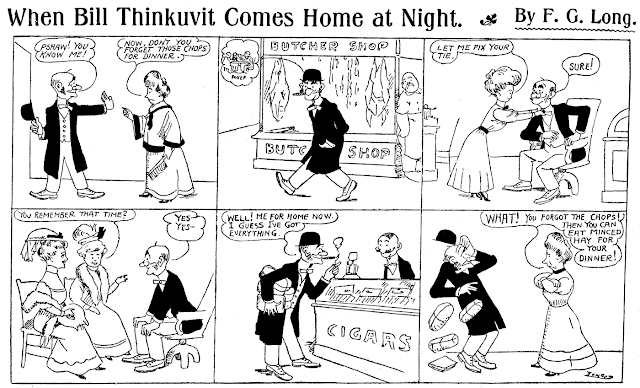 The series When Bill Thinkuvit Comes Home at Night is another one of those rather tiresome absent-minded man strips, this time penned by Ferd G. Long for weekday appearances in the New York Evening World. It came and went quickly, first appearing February 26 1908, and last appearing on March 5. Oddly enough, this series was chosen by the Chicago Tribune to be colorized and reprinted as third-page Sundays in their comics sections of April 19 to May 3 1908. 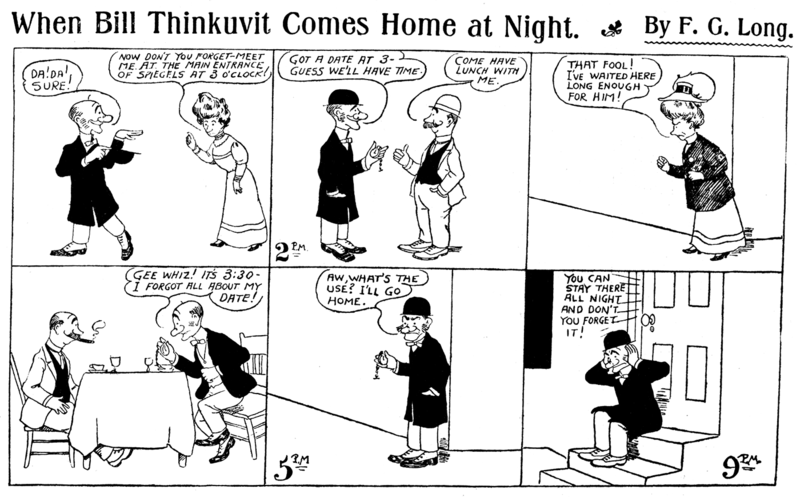 The Trib gave this treatment to a few Evening World series in that era, in addition to using actual Pulitzer Sunday strips as well.